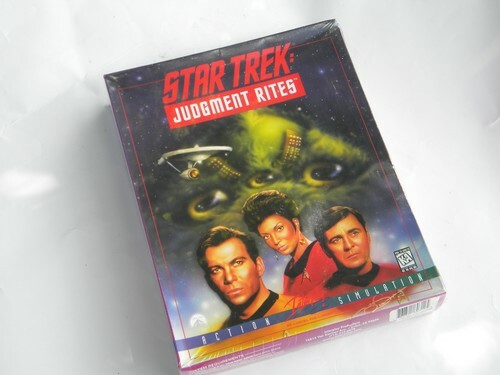 Interplay&apos;s Star Trek action simulation PC game Judgment Rites still factory sealed in the original shrink wrap. 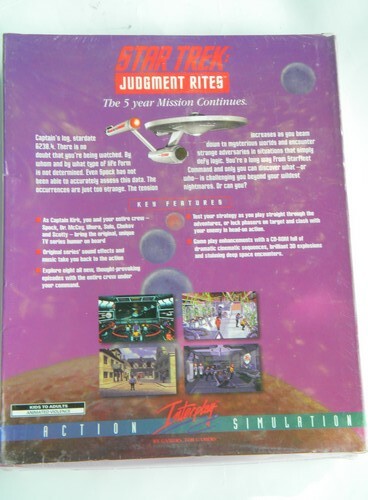 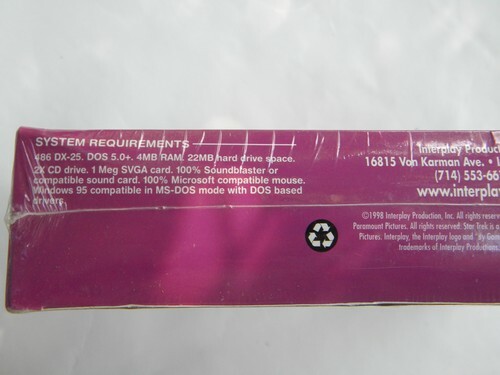 This game is dated 1998 and according to the box it requires at least a 486 computer, DOS 5.0 or up with a 2x CD drive (and so we assume the software is on a CD rather then a floppy disk). 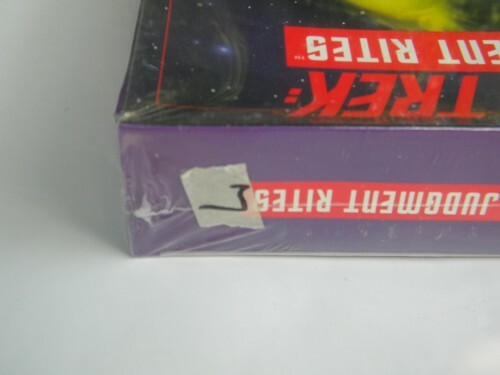 There is a old piece of masking tape with a number on top edge of the box.